The family of four were left needing hospital treatment after the incident in Northampton. 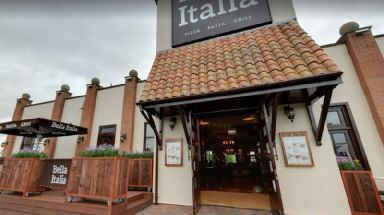 Three men have been arrested after a family were racially abused and assaulted when leaving a restaurant in Northampton. It happened outside Bella Italia in Sixfields around 9 o'clock on Friday night (January 26). The men attacked two teenage boys and their parents leaving the family of four all needing hospital treatment. It is also alleged that racial abuse was shouted at the family during the incident. Three men, aged, 21, 22 and 31 have been arrested in connection with the incident.